Tooth loss can be detrimental to your long term oral health. Bone loss is one of the leading side effects of missing teeth - not to mention the effect on your smile. The stimulation that your jaw bone receives from your teeth maintains its strength. If you have dentures or even a partial denture, you are losing bone. Your teeth provide you with more function than just chewing. Leading dental organizations now consider dental implants the "standard of care" for the replacement of missing teeth. Your doctor uses dental implants from BioHorizons, which have long-term documented success rates that are above the industry average. See for yourself what thousands of patients already know. Dental implant treatment restores confidence in your smile. You can speak clearly and eat the foods you love, without the fear of loose, ill-fitting dentures causing embarrassment. What a wonderful way to improve your health and quality of life! Turn back the clock and feel like yourself again. You are going to love your new smile. Dental implants are titanium alloy screws which are anchored into the jawbone. Titanium alloy is the same material that is used in other implants such as hip and knee replacements. Implants are designed to "fuse" (osseointegrate) to the bone to ensure strength and security. 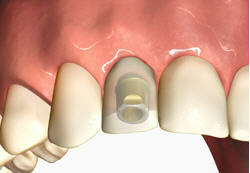 An abutment attached to the implant will hold the crown in place. With 100 million people having lost some or all of their teeth, dental implants have become the treatment of choice for replacing teeth. If you are wearing a full or partial denture or are missing one or more teeth, dental implants may be the best option for you. The hope of restoring something that has been lost is an exciting possibility. With dental implants, it's not just a hope. It's a reality! Dental implant surgery has proven successful for hundreds of thousands of people. In fact, dental implants have the highest success rate of any implanted prosthetic device. Most procedures are done in your dentist's office, or the office of one of their colleagues, as an outpatient procedure. You will be placed on a soft food diet for several days, and asked to refrain from strenuous physical activities. Most patients return to their normal daily activities in just a few days. Implant therapy typically requires several steps over a period of 3 to 9 months, depending on your treatment plan. After the implants have bonded to the bone, your dentist will attach a crown(s) and/or a denture to your implants. Home care for your implants will consist of brushing and flossing. Regular dental visits are recommended. Your dentist will monitor your progress and design a maintenance program specific to your needs. If properly cared for, your dental implants can last a lifetime. There are certain general conditions that are favorable for the placement of any prosthetic device. Age is not a factor as much as general health. Due the rapid loss of bone mass due to missing teeth, you may need a bone graft before the placement of a dental implant. Your dentist will be able to review your individual case to ensure the best possible treatment plan for you. How do you care for implants? Dental implants can be used to stabilize or support a denture. Worry of slipping dentures and dealing with messy adhesives will be a thing of the past. 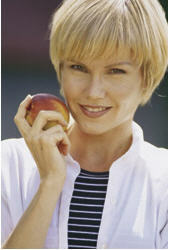 Implants will also maintain the surrounding bone, protecting your long-term facial appearance. Once again, you can eat and speak with comfort and confidence. If you are missing a single tooth, the placement of an implant may be the best choice for you. Conventional "crown and bridge" therapy requires the healthy teeth on each side of the missing tooth to be ground down to serve as support for the bridge. Replacing the missing tooth with an implant leaves your remaining teeth untouched. A single tooth implant will restore a natural appearance to your smile and preserve vital bone structure adjacent to the missing tooth.